When Mitch (Michael Cram, FLASHPOINT, ROOKIE BLUE), a proud new father, discovers that his baby isn’t his, he leaves his small town and sets out on a journey to find answers. Meanwhile, Jackie (Sonya Salomaa, DURHAM COUNTY, WATCHMEN), the baby's mother, convinces her best friend to help her find Mitch and save their marriage. The journey they all take is a heartfelt, coming of age story through backwoods burlesque festivals and small town funeral home larceny. A heartfelt indie comedy written and directed by actor turned director Amy Jo Johnson (FLASHPOINT, MIGHTY MORPHIN POWER RANGERS, FELICITY), THE SPACE BETWEEN is a film about acceptance, love, and the true meaning of family. Amy Jo is an award-winning writer and short film director. 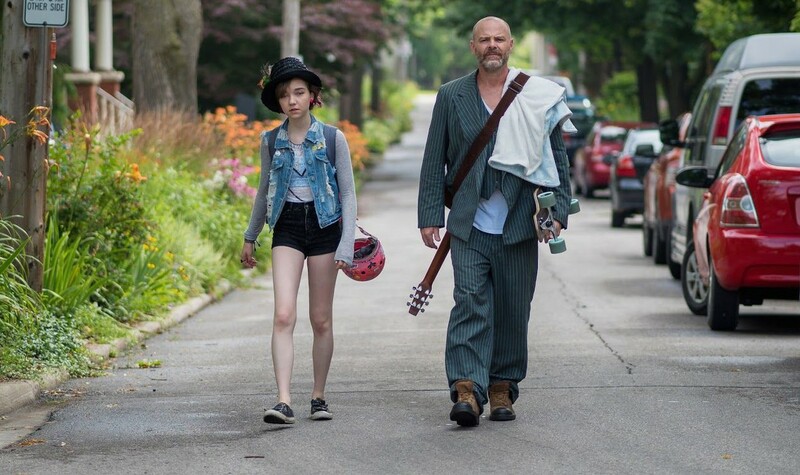 Amy Jo's first short film, BENT, won the Jury Award at the Toronto Independent Film Festival and the Audience Choice Award at the WIFT- Toronto showcase. Amy Jo has turned to writing and directing after 20 years of acting experience, during which she played Julie Emerick on the critically-acclaimed FELICITY, and Jules Callaghan on the award-winning Canadian series, FLASHPOINT. Her first screenplay, CRAZIER THAN YOU, won the 2012 Blacktie Screenplay Competition at the Long Island Film Festival, and placed 3rd in the 2013 Write Brothers Screenplay Competition at the Canada International Film Festival. "[A] heart-felt movie...Verdict: see it." "Part comedy road movie, part family drama and a whole lot of the understanding of the many forms of love."